Rituals allow the sacred to be embodied, as Rowland argues in her latest book, The Sleuth and the Goddess: Hestia, Artemis, Athena and Aphrodite in Women's Detective Fiction. In the reading and writing of mysteries, the sacred is enacted, creating a space which is inhabited by the goddesses. Jungian and archetypal psychologies point out that there is never just one god, Rowland asserts; there can’t be just “Hermes” in hermeneutics (the study of texts, and especially written texts). He is not the only god of writing. While our culture has primarily been influenced by a tradition that is masculine-focused, one must ask: Where are the feminine gods in writing? If they are in our psyche as depth psychology suggests, then they are going to be in what our psyche does—including reading and writing. Susan relates that all her work has been interested in the feminine and in depth psychology, and she has always been interested in detective fiction. Upon moving to the U.S. from England a couple of years ago, she wanted to understand what it meant to be a woman in America. She began to notice archetypal patterns that emerged from the work of women mystery writers, which, in turn, coincided with the work of depth scholars Christine Downing and Ginette Paris, who were writing about the goddesses, and with Susan’s own longtime, ongoing interest in detective fiction. Susan points out that detective fiction was born around the same time as depth psychology. Culturally, she notes, the genre emerged as a response to some of the same kinds of cultural pressures as depth psychology did, beginning in the time of Freud. Since the beginning, women writers have been looking at what it means to be a woman hero. These goddesses are returning through women-authored mysteries because the “mysteries” are, well—“mysteries”—especially in the ancient sense, like the Dionysian mysteries and the Eleusinian mysteries. This is true for all detective fiction and anywhere the imagination is cultivated. In the book, Rowland takes a detailed look at each of four ancient Greek goddesses: Hestia, Athena, Aphrodite, Artemis, and gives examples of how these goddesses have influenced the Western world and how they show up in specific characters and settings in novels from women writers. Artemis and Aphrodite, for example, are both goddesses of nature and of human nature. As such, they may be seen as ways of knowing. The origins of depth psychology and detective fiction are both rooted in problems about “knowledge,” Susan insists. Depth psychology recognizes there is a problem because so much of the psyche is not being acknowledged in the modern world, and that creates a problem. Rowland offers the notion that there is often a lot of humor to be found in detective fiction, as well as in Jung, citing examples of Jung’s humorous treatment of certain material. These exemplify how humor is a way of engaging and processing the material. In the interview, Susan reveals to me that one of the reasons she wrote the book is that there is so much potential in bringing a depth psychology polytheistic lens to a topic. Detective fiction begins in America, with Edgar Allen Poe, who has been a fascination for depth psychology especially with Lacan. 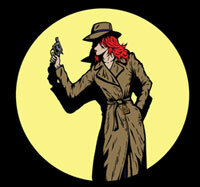 The figure, the detective, knows knowledge is problem—like the psychoanalyst does, Rowland insists. The detective needs to find and identify clues and track them back to something that cannot be known fully—the mystery of life death. Ultimately, there is an urgent cultural need to become the figure who will search for the bigger clues that will reveal the mysteries of the psyche, and this profound archetypal notion is truly at the heart of Rowland’s new The Sleuth and the Goddess. You may access this informative interview, "The Return of the Goddesses—in Mysteries! 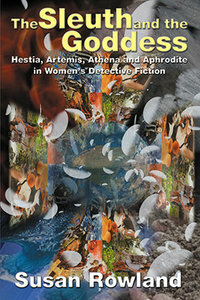 "—Susan Rowland in conversation with Bonnie Bright about Susan's book, The Sleuth and the Goddess: Hestia, Artemis, Athena and Aphrodite in Women's Detective Fiction here (as well as find info to download a free chapter of the book). NOTE: Direct link to download the audio interview: Susan Rowland with Bonnie Bright is available here. 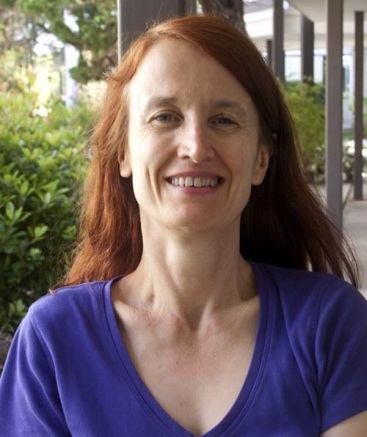 Susan Rowland is the chair of Pacifica's M.A. Engaged Humanities and the Creative Life Program and also teaches in the Jungian and Archetypal Studies Specialization of the Depth Psychology Program. Susan earned her Ph.D. from the University of Newcastle and her MA's from Oxford University and the University of London. She was the first Chair of the International Association of Jungian Studies (IAJS). Dr. Rowland is the author of many studies of Jung, literary theory and gender including C.G. Jung and Literary Theory (1999), Jung: A Feminist Revision (2002), Jung as a Writer (2005) and also edited Psyche and the Arts (2008). Her book C.G. Jung and the Humanities (2010) shows how Jung's work is a response to the creative, psychological, spiritual, philosophical and ecological crises of our age. In 2012, her book, The Ecocritical Psyche: Literature, Complexity Evolution and Jung was published by Routledge, showing how the Jungian symbol is a portal to nature. Bonnie Bright, Ph.D., is the principle and founder of Depth Insights which offers a semi-annual scholarly eZine, radio podcasts, and educational webinars. She holds M.A. degrees in Psychology from Sonoma State University and in Depth Psychology from Pacifica Graduate Institute in Santa Barbara, CA, where she also completed her Ph.D. She founded Depth Psychology Alliance, the world's first free online academic community for those who are interested in the fields of Depth and Jungian Psychologies in 2010, and DepthPsychologyList.com, a directory to find or list depth-oriented therapists and practitioners by location or services.